Microsoft released a technical preview of System Center Operations Manager (SCOM) management pack for .NET Application Performance Monitoring (APM) with Visual Studio Application Insights. 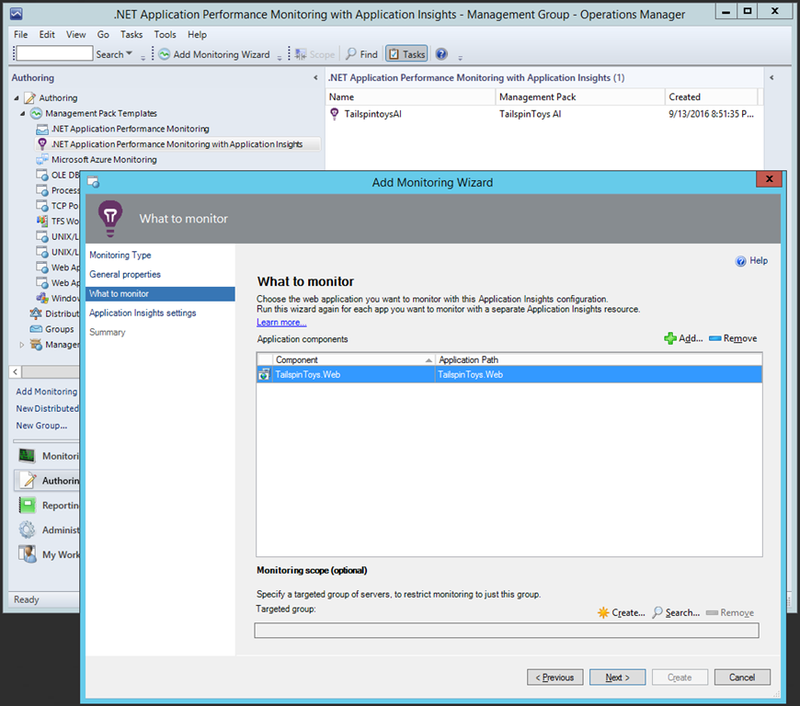 You can use this management pack to centrally configure Application Insights APM directly in the Operations Manager console for the .NET web apps that are already deployed to your on-prem web servers. The management pack wizard lets you choose which web apps you want to monitor and associate them with new or existing Application Insights resources in Microsoft Azure portal. When running, the management pack automatically detects new instances of the web apps on the desired group of servers, deploys necessary monitoring infrastructure, and starts sending the application telemetry to Azure. The monitored app does not have to be pre- instrumented by the developer, although using the Application Insights SDK can further increase the diagnostic value of the collected telemetry. Learn how to configure and use .NET APM with Application Insights in System Center and download the management pack from Microsoft Download Center.